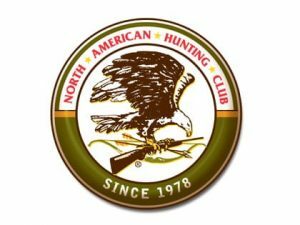 The North American hunting club is one of the affinity clubs to the world’s largest affinity lifestyle membership company, North American Membership Group (NAMG). The NAMG was established in 1978 and is a consumer lifestyle company that successfully merges membership, publishing, and merchandise marketing into one emerging and innovative business. This group is privately held by Doughty Hanson &amp, Co. Ltd., the largest equity fund manager in Europe. The NAMG’s business of developing, servicing, and marketing lifestyle Club memberships provide consumer enthusiasts, with the support and comradeship of a shared association benefits and services enabling consumers to increase their enjoyment of their chosen particular interest and leisure time activities. NAMG’s merchandising marketing in today’s competitive environment offers club members with high-quality products that entertain, advice and instruction to help members get more satisfaction from their leisure activities. The NAMG clubs provide interesting and informative magazines developed by their publishing division. The magazines are filled with informative articles and how-to features that inform, teach, motivate, and entertain members with their chosen lifestyle interest. There are ten distinct membership-based lifestyle affinity clubs owned and operated by NAMG. The North American hunting club website gathers hunting enthusiast members. Like all the affinity clubs of NAMG, The NAHC hunting club also has an interactive members-only site where members can provide the best information and resources available. The hunting clubs website does not only offer its hunting aficionado members expert advice on hunting but also include member benefits that they can take advantage of, such as the club’s extensive magazine and book information archives, click and win giveaways which is a chance to win terrific prizes, bulletin boards, calendar of events, and special forums in the member-to-member area, weekly polls and trivia contests, fully interactive member services features for membership benefits and assistance, and much more as new features are added regularly. The website also offers a free 30-day trial membership which will give full access to the following club benefits: a free issue of the North American Hunter magazine, exclusive E-newsletter, entering daily to win free hunting products, receive full access to club website, preview great books, videos, and more, a free Wild Bounty Cookbook and resource directory, and much more. The North American hunting club, by providing its hunting fan members with appropriate information about hunting, let them enjoy more the lifestyle sport that they have chosen.